Romance Writers of America/ New York City, Inc. - Romance Writers of America/New York City, Inc.
Our chapter's purpose is to nurture budding writers and to support published ones. 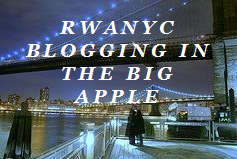 RWA/NYC is in a unique and advantageous position for both published and unpublished writers as it is located in the heart of the romance industry. Monthly meetings feature a variety of industry professionals, including editors, agents, booksellers, book buyers and leading romance authors. Our membership includes writers knowledgeable about contemporary and historical romances, mainstream fiction, gothics, Regencies, True Confessions and short story fiction. And they are all delighted to share their expertise with other members.